This nursing home negligence lawsuit was filed against a Genesis nursing home by the estate of a woman in Baltimore County after the woman suffers injuries from a fall. The claim against the nursing home, called the Heritage Center, is that she was only partially assisted to her bedside by a member of the nursing home staff which was inappropriate because she was at high risk for falls. It was filed in Health Claims Arbitration on May 1, 2017, and it is the 203rd medical malpractice case filed in Maryland this year. A woman is admitted to defendant nursing home facility, Heritage Center, after being discharged from Johns Hopkins Bayview Medical Center for rehabilitation and strengthening of her lower extremities. It is noted in the woman's medical chart by the Heritage Center that she is a "falls risk" and is designated as such by a yellow band on her wrist. While being only partially assisted to a bedside commode by a staff member, she falls to the floor and breaks her leg. The woman complains of pain in her lower extremities; however, she is not assessed until approximately seven hours later. An X-ray reveals the extent of her injuries and she is transported to Franklin Square Hospital. She undergoes a closed reduction of her fractures and is discharged to a separate rehabilitation facility for recovery. The woman passes away shortly after due to unrelated medical issues. This is a tough case because the woman died shortly after the alleged negligence. So her estate brings the claim for her pain and suffering. The challenges here are twofold. First, just like in a wrongful death case, the plaintiff is not able to tell her story, giving the nursing home a lot of control over the facts. Second, her pain and suffering is over a limited period of time and, instead of awarding money to the victim, you are awarding it to her estate. You can absolutely make this kind of case work, particularly if the jury hates the nursing home. The argument is that you do not want to spend your last precious days on earth suffering from something unrelated to your ultimate death. You can make this case work and we have done it before in malpractice cases where the victim died during the case. But it does increase the level of difficulty in getting a quality award. Certainly, the idea that the patient was only "partially assisted" will require a greater explanation. Fall statistics in nursing homes are pretty stunning. 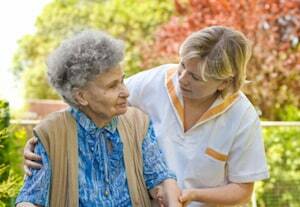 According to the CDC, the average nursing home patient falls 2.6 times per year. Between half and three-fourths of nursing home residents fall each year. You might be thinking the problem is the patients are just old. Of course, that is a part of it. But that fall rate is twice as high as it is for older adults living in the community. Have you or someone you love suffered as the result of the negligence of a nursing home who made a mistake or simply did not care enough? Miller & Zois can help you. Call us at 800-553-8082 and speak to one of our medical malpractice attorneys who can help you or get an online case review. A nursing home fall case against FutureCare in Anne Arundel County filed in 2017 involving an Alzheimer's patient who allegedly suffered 15 falls in a 20-month stay.